Weekend Brunch! 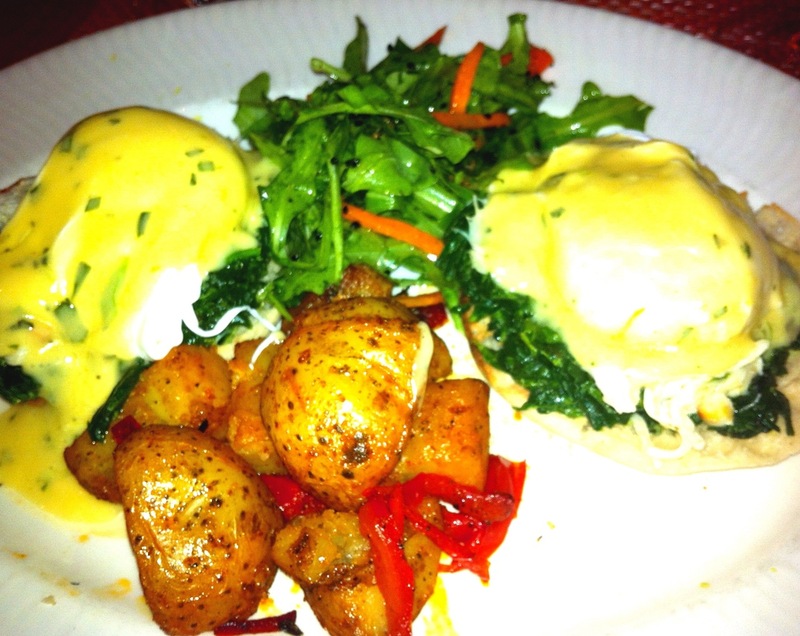 What girl does not love brunch, and being that I live in Murray Hill (stop judging me fellow New Yorkers), finding a decent brunch spot is near to impossible, especially since my friends never want to go very far. Since I was able to drag them to L’express before I figured I could force them to try the restaurant across the street, Barbounia, and thank gaaaad for Barbounia. For 1, they have a drinking special (boom). $18 for unlimited mimosas and bellinis. One mimosa is $12, so it is a deal in my book. Not to mention there were men there, MEN AT BRUNCH. Unless there’s a big screen television, beer and tater tots, it is hard to get a man to brunch. Barbounia somehow managed to make that happen. Crowded? Drinking Special? There must be a wait. The brunch gods were shining down on me that Saturday, because we were seated right away (next to a group of drunk girls but we were seated: i’ll take it). And the food did not disappoint. I picked up the menu about 3 times before I decided on the crab benedict with truffle oil (yes, truffle oil), and it was delicious. I did not leave one morsel on my plate. My friend got the burger, and she cleaned her plate as well. I also want to point out that while I am an adventurous eater, my fellow diner is not. Caesar salad wraps are her go to choice, and Barbounia managed to please both of us. Overall it was an enjoyable experience, except while we were paying our bill, the manager asked if we would be willing to move to the bar so they could seat a larger party (back off buddy). He’s lucky I finished my mimosa so we just paid and left. 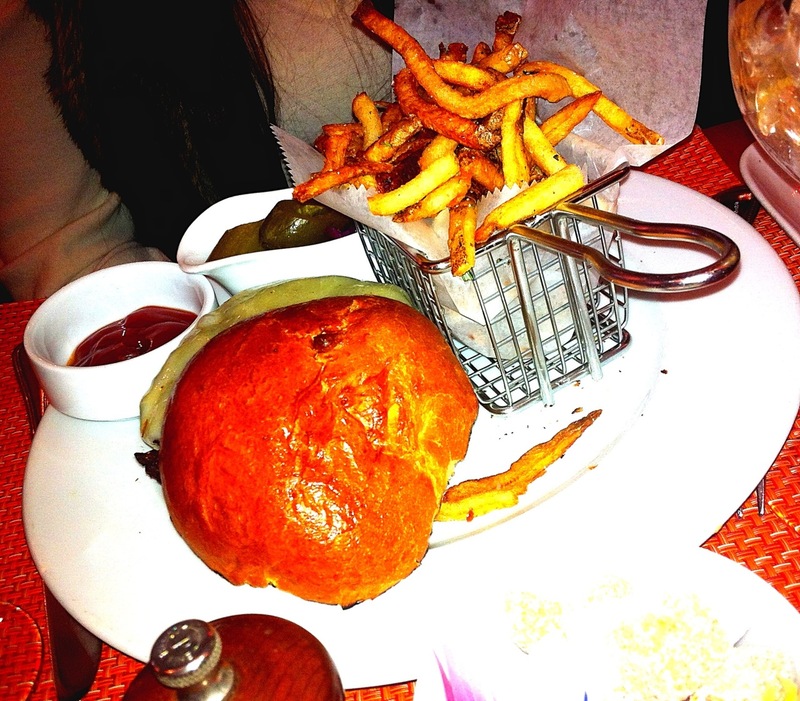 Here is the burger my friend ordered. She was sick and coughing up a lung, so I was too scared to take a bite, but I really wanted to sneak a few fries (if it’s not on my plate it’s like it never happened). Here is my crab benedict that I went to town on. I haven’t met a dish with truffle oil I did not like, and if you do not like truffle oil…i’m judging you, harshly. 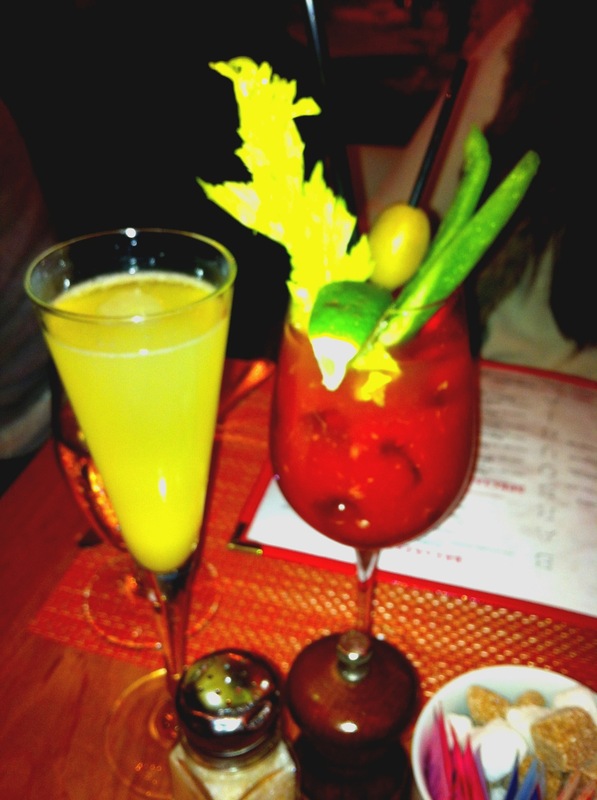 I got the mimosa, and my friend got the bloody mary. She has never met a bloody mary she did not like, and this one fell under that umbrella. I sipped my mimosa like a lady, of course.